f) Local buckling failure of a brace member or of a hollow section chord member at the joint location. NOTE: The phrases printed in boldface type in this list are used to describe the various failure modes in the tables of design resistances given in 7.4 to 7.6. 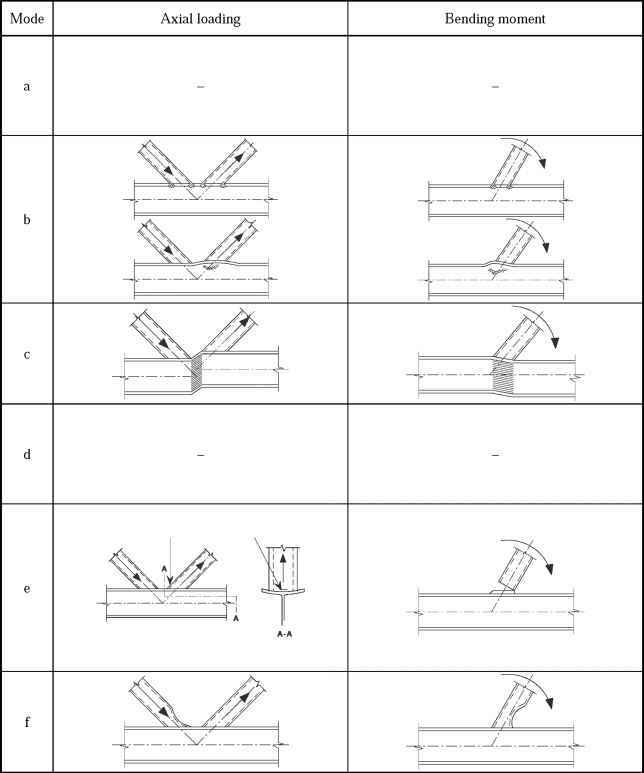 (2) Figure 7.2 illustrates failure modes (a) to (f) for joints between CHS brace and chord members. 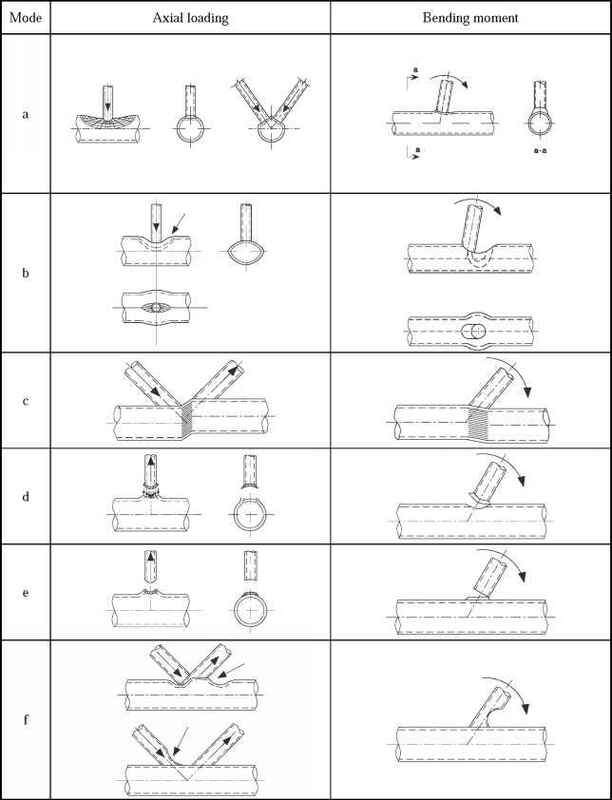 (3) Figure 7.3 illustrates failure modes (a) to (f) for joints between RHS brace and chord members. 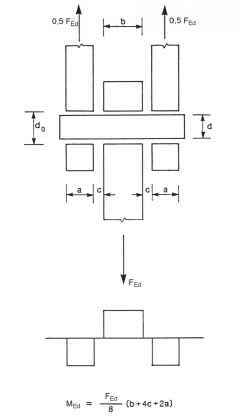 (4) Figure 7.4 illustrates failure modes (a) to (f) for joints between CHS or RHS brace members and I or H section chord members. 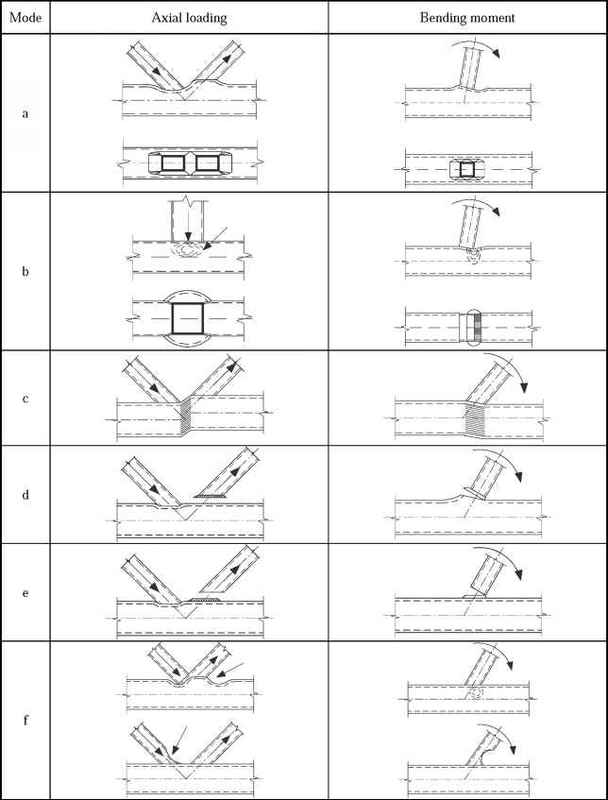 (5) Although the resistance of a joint with properly formed welds is generally higher under tension than under compression, the design resistance of the joint is generally based on the resistance of the brace in compression to avoid the possible excessive local deformation or reduced rotation capacity or deformation capacity which might otherwise occur.